Having spent 1934 through 1939 in Oslo and Scandinavia in general conducting research into Bions, Wilhelm Reich moved into the United States of America at the end of 1939 and spent close to two decades in New York and also Rangeley, Maine - where the Wilhelm Reich Museum / Wilhelm Reich Infant Trust still maintain his legacy. During the course of his lifetime, he nurtured life in all its forms, first as a member of the International Psychoanalytical Association, then as the originator of Character Analytic Vegeto-Therapy, later moving steadfastly towards the natural sciences with his Orgone Physics and Orgone Therapy. At the end of his life, he was developing and testing devices for conducting weather engineering and weather modification - such as the device which became to be called a Cloudbuster. The various psychoanalytic movements still treasure his book "Character Analysis" (published in 1933), but choose to ignore the rest of his work. 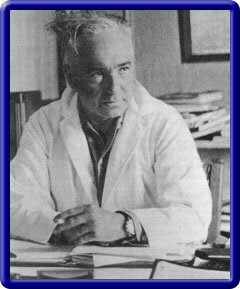 The life-work of Wilhelm Reich is almost too trailblazing to be conceived in its absolute whole, ranging from major steps forward in psychiatry and psychoanalysis to measurement of bio-electricity, concentration and decentration of Orgone energy charges, the development and testing of an Orgone Accumulator (ORAC) with animal test subjects, human test subjects and also magnets - the identification of a temperature difference between an Orgone Accumulator and outside it - with which he interested Dr. Einstein for a while before one of Einstein's assistants convinced him that there was nothing there - which led to a brief flurry of letters from Wilhelm Reich to Einstein - never to be replied to (As an aside, Einstein said simply: "If this effect is true, it would be a bomb-shell in physics", during the 5 hour meeting between him and Dr. Reich.) - and much, much more. Biophysical Research Lab - James DeMeo's continuing investigations into Reich's work.